As soon as you recognize signs of autism in your child, immediately seek the help he needs instead of hoping that things will improve on their own. The sooner autism care treatment is started, the better thing will be for your child. The following tips may also be helpful: • Educate Yourself. Many misconceptions about autism exist. 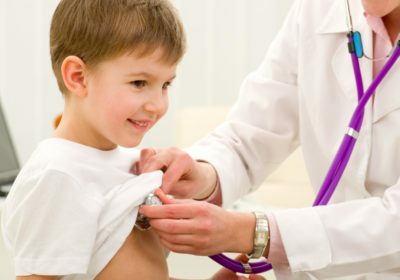 Therefore, a parent needs to become as educated as is possible about the treatment options available for their child. • Know Your Child. Closely observe your child and figure out what makes her behave badly. Understand what causes her to feel stressed and uncomfortable, as well as what makes her feel calm and happy. This can go a long way in helping your child and in maintaining a peaceful atmosphere in your home. • Provide Consistency. Children with autism typically have trouble putting into practice what they’ve learned in one place in another setting. For example, they may use sign language when in therapy, but not remember to use it at home. Parents should learn techniques that their children are being taught in therapy and put them in place at home to provide their child with consistency. • Stick to a Set Schedule. Children with autism thrive on a highly-structured routine. Set regular times for meals, school, therapy and bedtime. Try to avoid disrupting the routine and prepare your child in advance if any changes are unavoidable. • Reward Good Behaviour. Giving positive reinforcement and praising a child for behaving well can go a long way. Specifically commend her for a new skill she’s learned or when she acts appropriately. Giving her a sticker or letting her play with her favourite toy may be a good reward. • Identify Nonverbal Cues. An observant parent can pick up on facial expressions and gestures that their child uses when he is hungry, tired or if he wants something. This way a parent can react to the needs of the child before things escalate into a tantrum or other bad behaviour.